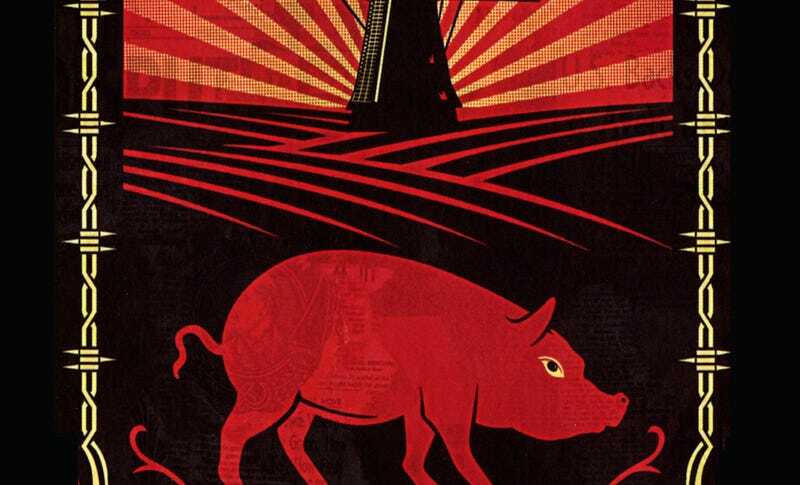 Did George Orwell Borrow Animal Farm From a 19th Century Russian Author? George Orwell had a known penchant for borrowing from other authors—his dystopian novel 1984 owes a clear debt to a number of works, including We by Yevgeny Zamyatin, for example. But did his other famous work, Animal Farm, also owe a huge debt to a Russian author? That’s the claim in a new Harper’s Magazine article by John Reed, an author who previously aroused some controversy with his unauthorized sequel to Animal Farm back in 2001. Reed, whose Animal Farm sequel/pastiche was aimed at showing how Animal Farm was “outmoded” as a weapon in Cold War 2.0—the war against terrorism. In the course of that debate, Reed stumbled on the claim that Orwell had borrowed large parts of Animal Farm from a story called “Animal Riot” by Nikolai Kostomarov, a 19th century author and friend of Tolstoy. The plots of the works are pretty similar, though there’s no evidence that Orwell knew of “Animal Riot.” But Reed is able to show, paragraph by paragraph, how the opening sections of both works follow a similar format and structure. Doesn’t prove anything—but it’s sort of fascinating to think that the precursor to Animal Farm was an allegory that, for a while at least, was held up as an important story in Russia immediately after the 1917 revolution.